We are so honored and thrilled to be a part of the Arkansas “Paws in Prison” program. This program is conducted thru the Arkansas Dept. of Corrections. 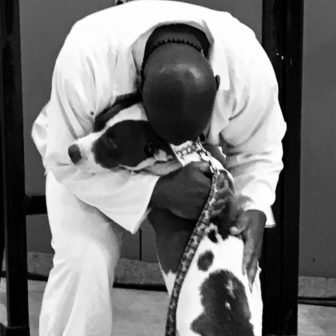 Each session puts our dogs thru an 8-week training course making them more adoptable than ever! To learn more about this awesome program, check it out on Facebook at: Arkansas Paws in Prison Foundation!